A new color for this unique rose of Sharon series! 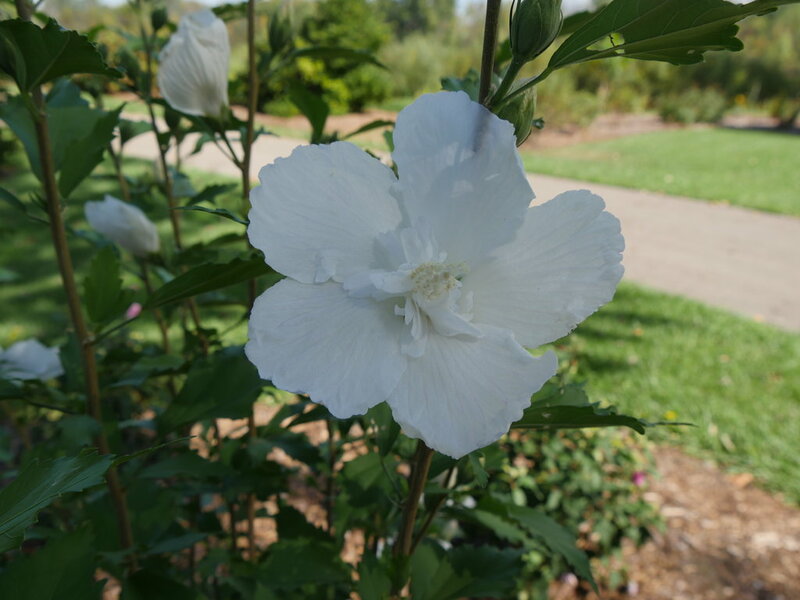 White Pillar® rose of Sharon is a sister plant to Purple Pillar®, the plant that changed how you think about rose of Sharon. 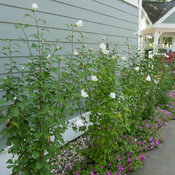 Both naturally grow as a narrow column, so it takes up just a fraction of the space that conventional roses of Sharon do. This particular variety sports pure white, semi-double blooms, making it an elegant choice for planting in any style landscape and along with any type of architecture. This unusual, space-saving habit unlocks so many new design possibilities: plant alongside your front entrance, as the centerpiece to a formal container, as a privacy screen, or a dramatic specimen. It's easier than ever to enjoy this summer-blooming favorite. Available in better garden centers in spring 2018. Narrow, space-saving habit is unlike other rose of Sharon. Doubled white flowers work with any home and color scheme. All the easy care reliability you expect from roses of Sharon. 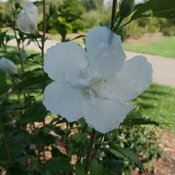 The only limit to the uses of the versatile, unique rose of Sharon is your imagination! We do recommend it get a minimum of six hours of bright sun for best looks and performance. 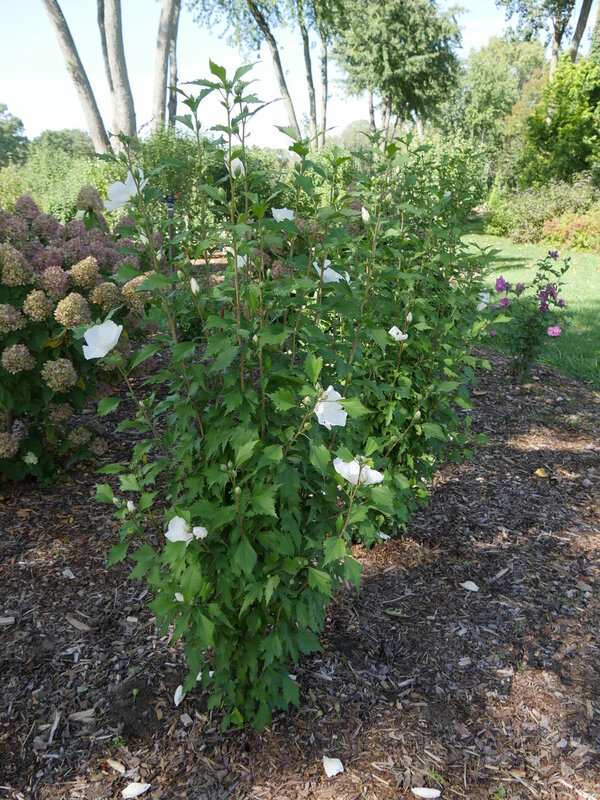 Rose of Sharon requires essentially no special care. A good 2-3" layer of shredded bark mulch would be a welcome addition to the root zone. Pruning is rarely required but can be done in early spring. 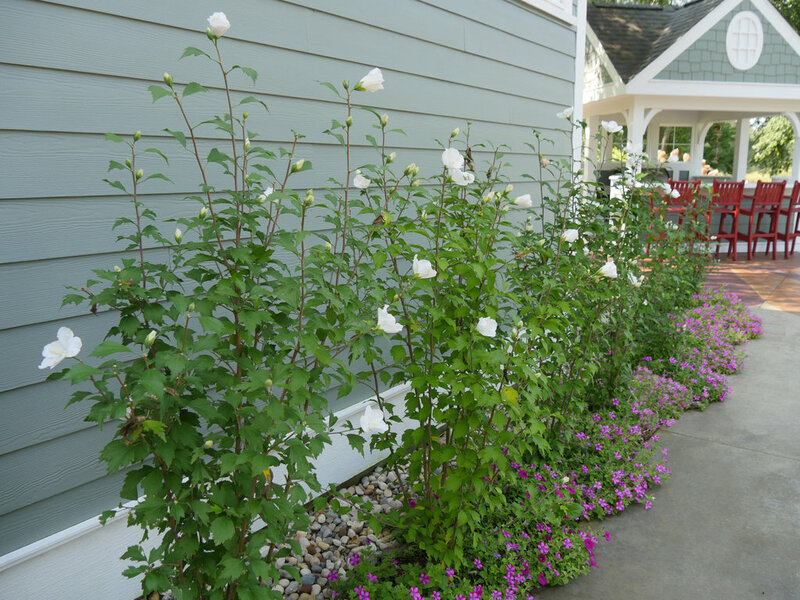 If you wish to fertilize, a granular fertilizer formulated for woody plants, like a rose fertilizer, can be applied in early spring, once the ground has thawed. Rose of Sharon can be quite late to leaf out in spring, so do be patient. 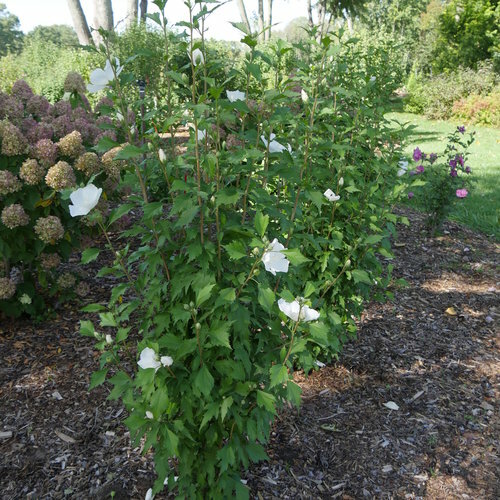 The technical term for plants that grow tall and narrow like the Pillar series of rose of Sharon is "fastigiate" (pronounced fa-stidge-itt).